Apple’s iPhone is so much more than just a phone to allow you to make and receive calls. It serves as an instrument that keeps you in the social loop, organized and productive. You can also brush up on your studies or keep sharp in your career thanks to a number of quality apps that can be downloaded from the iTunes App Store. If you are a psychology student or professional, there are several apps that will help in your everyday life pertaining to your career, and here we review ten of the best. College Psychology (Psych) 101 Flashcards is helpful in educating psychology students, as well as keeping psychology professionals in the know. There are various topics included pertaining to the subject, such as states of consciousness, cognition, memory, abnormal psychology and much?more. 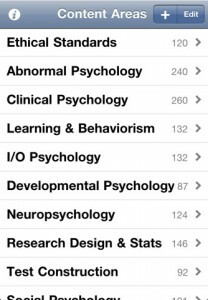 StudySets — Psychology gives psychology students an edge in studying, as it can be done right on their iPhones. There are a number of topics, from conditioning to memory, personality and neuroscience as well as a directory of common psychology terms. It is also available in French and Spanish. 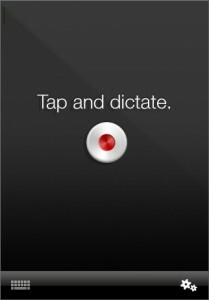 Dragon Dictation is free and is useful in dictating important notes that psychology students and professionals need to take. It can be used in class or in the office, while making notes on clients. 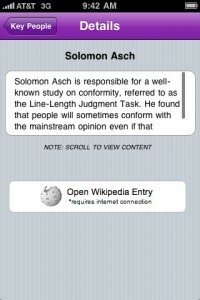 Personality Types is a great app for psychology students and professionals. 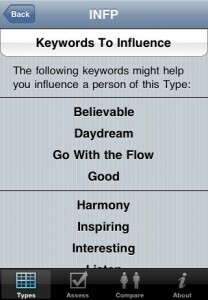 It includes all of the essential themes of each personality type and explains why people act the way that they do. Depression Test & Tracker is an automated test that is useful in determining whether a person may require the help of a mental health professional. It can also be used to track depression in patients regularly. You can calculate a person’s score on Goldberg’s scale, which will tell whether they are suffering from clinical depression. 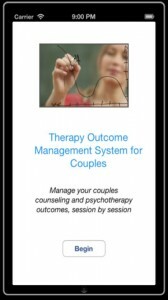 The Therapy Outcome Management System is essential for anyone in the field of psychology. 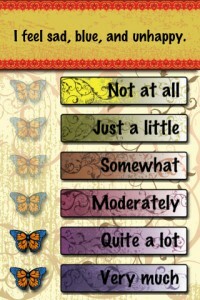 It provides instant feedback on the outcomes of counseling and therapy by clients. Professionals in the psychology field can vastly improve the quality of care they deliver to their patients by using this app, whether they are in private practice, clinics or if they are in clinical training or are part of an agency. MyPsych is free and can help psychology students and professionals to record, analyze and visualize the emotional health of patients by way of graphs. It is useful for helping to reduce stress, set goals and to track the progress of the individual over time. 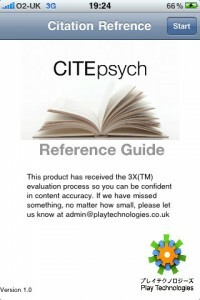 CitePsych: Psychology Referencing Guide is a comprehensive reference on the subject of psychology. It is easy to use and covers a huge variety of topics. It is generally geared toward psychology professionals who need to freshen up on their knowledge of terminology in the field. Brain Tutor 3D is free and shows models of the brain in 3D in real-time. 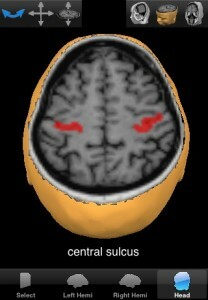 It is a great tool for both psychology students and medical professionals. 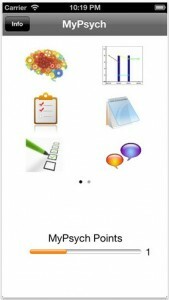 EPPP Flash Cards provides you with the most comprehensive of all psychology study guides. 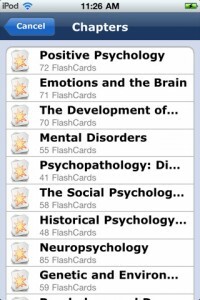 More than 2,500 flash cards are included and provide a wide variety of topics in psychology. There is even a video tutorial included that can be viewed on YouTube.